ABC Swing Footbridge is a minor waterways place minor waterways place place on the waterways major waterways place village town city on the Leeds and Liverpool Canal (Main Line - Wigan to Leeds) between Skipton Junction (Junction of Springs Branch with Leeds and Liverpool Canal Main Line) (12 miles and 5¾ furlongs to the northwest) and Bingley Five Rise Staircase (Lock No 25 to Lock No 29. Footbridges over each lock except the top lock.) (2¾ furlongs to the southeast). The nearest place in the direction of Skipton Junction is Crossflats Winding Hole; ¼ furlongs away. The nearest place in the direction of Bingley Five Rise Staircase is Hainsworth’s Boatyard; ½ furlongs away. There is a swing bridge here. The bridge is normally left open. 94 Main Street, Bingley, BD162JH — 1150 yards to the south. 26 Keighley Rd., Bingley, BD16 2 — 283 yards to the northwest. 63A Main Street, Bingley, BD16 — 1257 yards to the south. Queen St, Bingley, BD16 2 — 1417 yards to the south. 502 Bradford Road, Sandbeds, Keighley, BD20 5NH — 1188 yards to the northwest. No 1 The Stables, Market Street, Bingley, BD16 2HP — 1360 yards to the south. Belle Vue Farm, micklethwaite, Bingley, BD16 3JR — 1594 yards to the north. 79 Main Street Bingley, Bradford, BD16 2JA — 1305 yards to the south. 105107 Main Street, Bingley, BD16 2HX — 1388 yards to the south. 105-107 Main Street, Bingley, BD16 2HX — 1388 yards to the south. 105-107 Main Street, Bingley, BD16 2HT — 1388 yards to the south. 90 Main Street, Bingley, BD16 2JH — 1241 yards to the south. Bradford — 1578 yards to the southeast. 2 Whitley Street, Bingley, BD16 4JH — 1435 yards to the southeast. 32 Wellington Street, Bingley, BD16 2NB — 1405 yards to the south. Wellington St, Bingley, BD16 4 — 1401 yards to the south. Keighley Rd, Bingley, BD16 2 — 272 yards to the southwest. Fairfax Rd, Bingley, BD16 4DR — 225 yards to the southeast. Bradford — 1292 yards to the south. Bingley — 1309 yards to the south. Bingley, BD16 2 — 261 yards to the northwest. Lewes — 1348 yards to the southeast. Leeds - Liverpool Canal, Bingley — 1006 yards to the south. 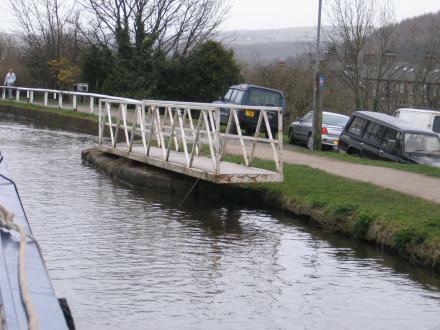 Leeds - Liverpool Canal, Bingley — 494 yards to the southeast. off Altar Lane, Bingley, BD16 1AT — 1455 yards to the southwest. Bingley Arts Centre, Bingley, BD16 2LZ — 1450 yards to the south. 141 Main Street, Bradford, BD161 — 1563 yards to the south. 1 Myrtle Walk, Bingley, BD16 1AW — 1592 yards to the south. Bingley — 1322 yards to the southeast. Ryshworth Hall, Bingley, BD162EL — 853 yards to the northwest. 7 lime court, Crossflatts, Bradford, BD16 2BW — 238 yards to the northwest. Bingley — 1553 yards to the southeast. Unit 3 Industrial Street, Bingley, BD16 4JQ — 1348 yards to the southeast. 99 Main Street, Bradford, BD16 2HT — 1381 yards to the south. 33A Keighley Road, Bingley, BD16 2HB — 335 yards to the northwest. Keighley Rd, Bingley, BD16 2 — 580 yards to the southwest. Main St., Bingley, BD16 2LZ — 1500 yards to the south. Bingley — 1481 yards to the south. Arden House, Wellington Street, Bingley, Bradford, BD162NB — 1469 yards to the south. 1455 yards to the northwest.